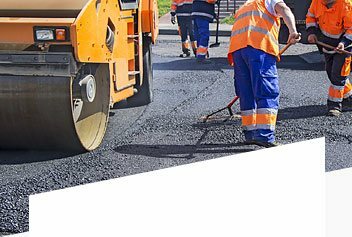 Solid Rock Asphalt & Concrete has been a leader in this competitive asphalt paving and concreting business since it was founded in 1996 by James O'Connell, its President. A native of Ireland, James has built this company from the ground up and established through hard work and reliable product a reputation for excellence and integrity. Solid Rock's main line of business includes: concrete/steel curbing, parking lots, road work, driveways, masonry, pot hole repair, excavating and drainage. We have considerable experience in brick paving, milling and back yards as well. We own our own fleet and employ our own drivers. Our policy is to always negotiate contracts fairly and in good faith. We do not let our customers down. 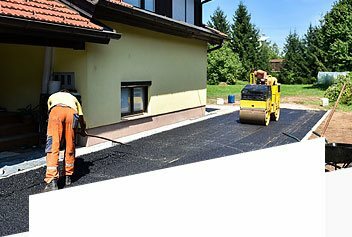 Our Company Solid Rock Asphalt and Concrete is your #1 choice for all phases of paving. Click for our scope of service! Contact Us We would love to speak with you about your project! Call for a free consultation and estimate! Our award winning company has the experience and expertise to handle your project from start to finish. We take great pride in our ability to deliver the best possible craftmanship and service in a timely manner! No project is too big or too small. 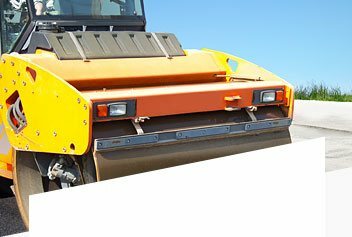 We have the equipment and personnel to cover all concrete and asphalt construction requirements from permits to excavation and installation. We also do repairs, seal coating, striping and restoration as well as other maintenance needs. We are licensed, bonded and insured. Call us today for a free consultation and estimate at 646-656-0806. We would love to speak with you about YOUR next project! © 2019 Solid Rock Concrete, LLC.